Philanthropist, producer, author, host and actor Terrence J has been named a Thurgood Marshall College Fund (TMCF) National Ambassador. 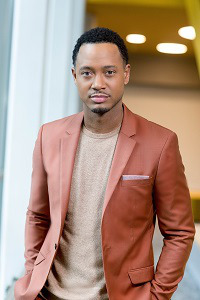 Terrence J has appeared in popular films such as “Think Like a Man”, “Think Like a Man Too” and “The Perfect Match.” He has also hosted BET’s “106 & Park” and co-anchored “E! News”. Terrence J was a previous TMCF scholarship recipient and participated in TMCF events while a student at North Carolina A&T State University. He recently served as a presenter at the TMCF 31st Anniversary Awards Gala and will host the 2019 NAACP Image Awards.